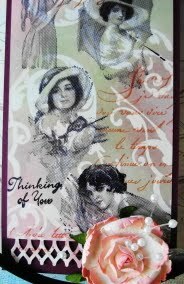 Vada's Blog Stamp Inks and Paper : Tag Tuesday Theme is Faces”. Over at Kard Krazy the Theme is Faces. 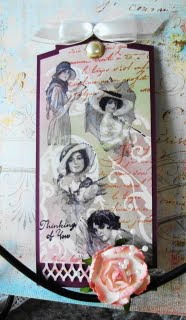 For my tag today I used Ladies from Art By Moonlight, and they are stamped on glossy w/ alittle Versa-Mark resist. I also used Paper Bag Studio and Hero Arts. Thanks for stopping in, remember to check out the tags as there is some wonderful works of Art there. That is a gorgeous tag. love all the lovely ladies. Your tag is just beautiful Vada!!! Love all your images and the beautiful finished product!! A wonderful collage of gorgeous faces! This is Beautiful.. It has a soft Vintage feel to it... I love it! Another gorgeous work of art! Love it! Vada! Fabulous tag! Your touch with ink and images is just wonderful.